-The 161.8% expansion of the 8/19-8/30 decline at .8436 has so far marked the top. 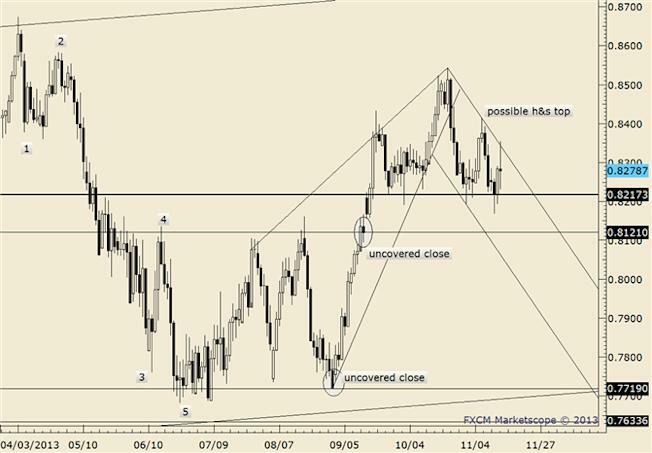 -After dropping below the 9/25 low and into a 2 week low during the Asian session, NZDUSD spent the rest of the day rallying, completely retracing the move. I’m wondering if the advance composes wave C of a flat. Watch for resistance near .8380.